" He is truly a very kind, warm and understanding doctor. " "Dr. John Genrich from Rhino Chiropractic is the first and only chiro I would trust"
"I am very grateful to Dr. John for giving me my life back!" "Compassionate, knowledgeable and just a great doctor that brings you to wellness!!" 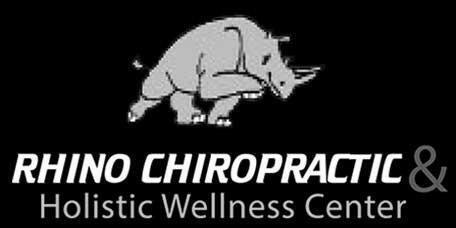 "Rhino Chiropractic truly strives to make you feel your optimal best." "Thank you Dr. John. Your ability to heal is a gift and I wish you years of service!" "One adjustment at a time my life is changing. I am beyond happy." "This approach to Chiropractic care will benefit your overall health." "Great office, great staff, and a great Doctor. I highly recommend Rhino Chiropractic"
Dr. John Gehnrich is a gifted and compassionate chiropractor who has been serving patients living in Nassau County and Long Island, New York, from his practice, Rhino Chiropractic & Wellness in Rockville Center. His patients benefit from a wide range of holistic and chiropractic services to address neck pain, back pain, sciatica, headaches and migraines, and auto injuries. Dr. Gehnrich also offers cold laser therapy and prenatal care. Dr. Gehnrich earned his Doctor of Chiropractic degree at Logan University and has been treating patients since 1997. Dr. Gehnrich is a compassionate and intuitive holistic wellness expert who works in close partnership with his patients to provide truly customized care to improve and protect their overall wellbeing. His practice is based on the philosophy that the body has an innate ability for self-healing. His treatment and care help to unlock the body’s ability to heal by releasing subluxations (misalignment of the vertebrae). During his more than 20 years of practice, Dr. Gehnrich has helped patients overcome health challenges and live their best lives. He draws on his own experiences with recovery from poor health and is inspired by his wife and children, who are his greatest love. If you are living with pain or feeling that you are not living your healthiest life, make an appointment with Dr. Gehnrich at Rhino Chiropractic & Wellness today. If you’ve been in an auto accident, Dr. Gehnrich can provide effective care to relieve any pain or discomfort you experience while enabling your body to heal and recover from injuries such as whiplash. Patients from throughout Long Island come to Dr. Gehnrich for compassionate and effective care. Our mission and our passion is a calling. Dr. John is here to serve you and your family so that you can, God willing, live a healthy and vibrant life full of abundance, prosperity, peace, joy, and happiness. "Knowledge is power and we look to empower our patients to achieve their optimal physical, chemical and emotional potential naturally through the God-given gift of Chiropractic. Our commitment is to look at each person as an individual and holistically approach their unique healing journey with safe and effective care from our head, heart, and hands." You take care of your teeth. Why not take care of your spine? Chiropractic at Every Stage and Every Age. Put your child on the path to optimal wellness. Remember those New Year’s health resolutions you made back in January? If you’ve failed to follow through on a big resolution like losing weight or changing eating habits, there’s no time like the present to get back on track. How Do You Relieve Sciatica Nerve Pain? Here’s the good news: it is never too late to take control of your health! Dr. Gehnrich has been helping patients just like you take back control by addressing how the body’s physical, chemical, and emotional dimensions interact with one another. Dr. John is a provider for most major insurances. For those who are not covered, affordable plans are flexible and worked out to tend to each patient. These payment options are available to all of our patients. "Dr. Gehnrich is one of the most accurate and most efficient doctors I have ever been too. He treats you with the unique care your body needs." "The office is very cheerful and Dr. John is a positive force. Definitely the best chiropractic care I have ever had. " "Dr. John is a miracle worker. People may walk into his office frowning or in agony , but they all walk out, smiling and hopeful." "His passion is truly shown through his work, words and the overall positive vibe and energy of the office." " Dr. John’s words of encouragement and overall improvement in my condition got me motivated to take my health into my own hands. " "The attention given to my care and wellbeing is unmatched by other places I have been to. I want to thank Dr. Gehnrich for helping me get back on track with my health. " "I can't possibly say this any other way, Dr. John is a miracle worker, his adjustment style, positive attitude, and patience with his patients is second-to-none!! " "Dr. John is a fantastic chiropractor. He is one of the most down to earth and knowledgeable doctors i've ever met."